In 1940, Wilhelm Hartnack had begun to collect data in order to write a chronicle of all houses of the old part of Laasphe. 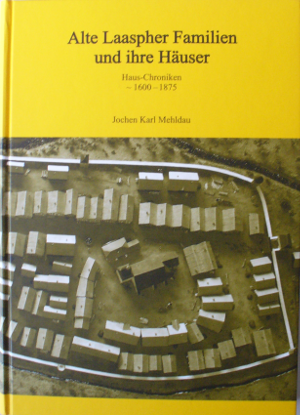 Now, about 50 years after his death, this work is completed by Jochen Karl Mehldau.The book contains all houses, which were situated within or nearby the former city wall between 1600 and 1875. You'll find the owners at that time, along with their families. And here you'll find an index of non-local spouses in Laasphe.